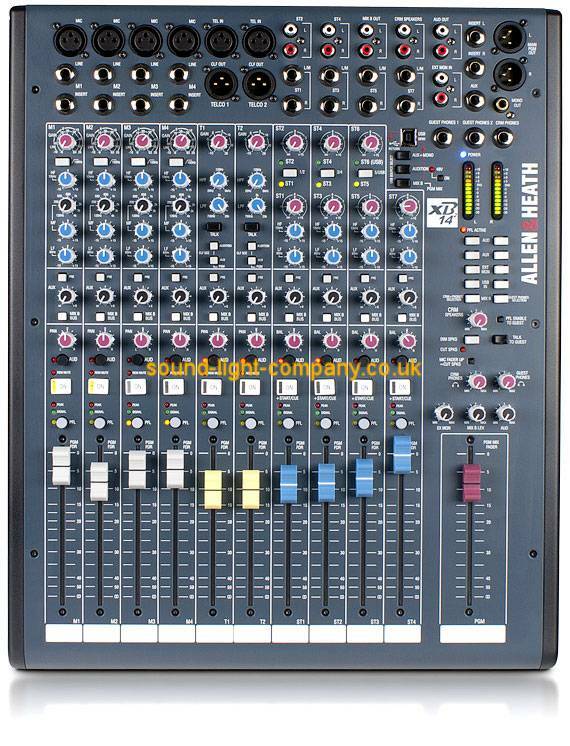 Whether you need a mixer for a self-operated broadcast situation, or whether you have a separate studio and engineer, the XB series has features to fit. Separate monitor mixes can be created for operator and guests or presenter, so the engineer can check levels and cue sources while the presenter or guest can listen to a different source. The engineer/producer can communicate to the guest or presenter using the Talk feature, as well as speaking off-air with telephone callers. There is also the facility for remote control of channel mutes from the studio using the remote interface connectors – ideal for studio situated mute or 'cough' switches. The XB-142 pre-amps use a two stage design, with carefully controlled amounts of gain in each stage. When amplifying the signal from the XLR input, the gain range is huge (69dB of range to be exact) and is very evenly distributed around the gain control, meaning better control of signal level. There is no "pad" switch, or pad circuit -- line level signals are simply plugged into the second stage of the pre-amp by using the line input jack socket. This has the great advantage of lower noise when using the line input.